A new mod for the PC version of ‘Star Wars Battlefront II’ is letting Darth Vader finally get over his goth phase and diversify his color palette. But not everyone is thrilled with the canon-breaking alterations. 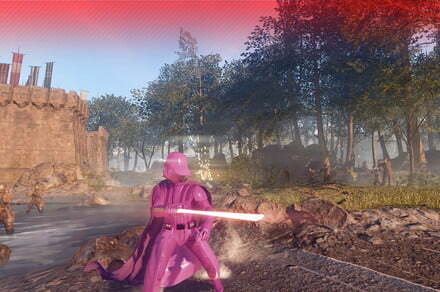 The post Darth Vader is just as menacing in pink in ‘Star Wars Battlefront II’ mod appeared first on Digital Trends. The PlayStation 4 rewards you with trophies for your achievements in various games. Here’s what you need to know about PS4 trophies, including how to earn them and the different trophy levels. The post Here is everything you need to know about PlayStation 4 trophies appeared first on Digital Trends. Which smart security camera is best for your home? The number of smart cams is growing, ie smart security cameras designed for Smart Homes. How do you choose the right one? Here’s what you need to know! 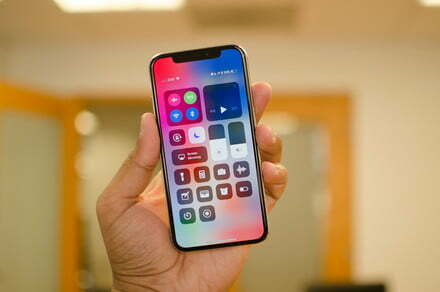 After the iPhone X was released, Apple addressed that, over time, the OLED display could experience burn-in. A tech site tested the smartphone against Samsung Galaxy devices to measure how long it takes to show burn-in effects. The post iPhone X beats Samsung’s Note 8 and 7 Edge in OLED display burn-in test appeared first on Digital Trends. The Institute for Public Policy Research seems to think it is expounding some new ideas on the dangers of future technology (Poorest to fare worst in age of automation, 28 December), but in fact these ideas are half a century old. Norbert Wiener pointed them out in his book on Cybernetics, written in 1947 and published in 1948. His argument, in paraphrase, was that the first industrial revolution – the coming of steam power in the late 18th century – represented the devaluation of muscle, so that humans only found purpose as controllers of machines, in factories. The second industrial revolution, in the last century through automation and the digital economy, represents the devaluation of the human brain. If you devalue a man’s (or woman’s) muscles and also his brain, what has he got to sell in terms of his labour? The consequence is, as the IPPR points out, a hollowing out of the world of work. We shall still need design engineers, computer programmers and brain surgeons; we shall probably still need people to clean offices, streets and toilets. It is the middle-ranking jobs – the much derided “back-office jobs” – that are going. Does the Guardian still have a typing pool, I wonder?